Hello wonderful Postcards & Pretties readers! This is Megan from Glamour and Grace and I am honored to guest post while Chris is away! Today I thought I'd share a fabulous Steal Worthy Idea! Fruit is a really great option when wanting to save on florals. I love seeing bright green apples, chic citrus, and rich pomegranates used in wedding decor. It adds such a fun and playful element. 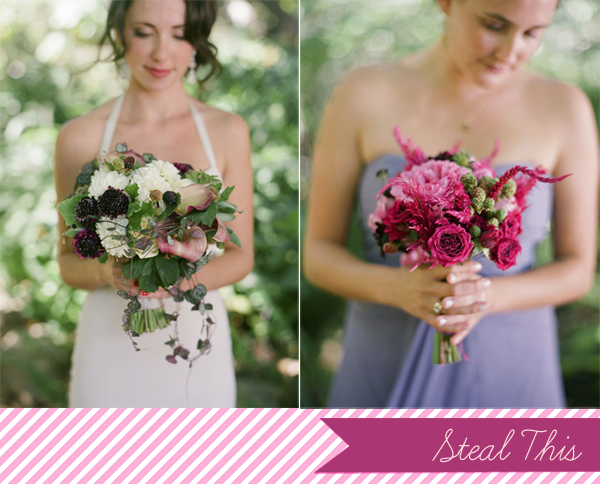 When I saw these bouquets, I was blown away! Blackberries used as flowers! It is so completely elegant and unexpected. I love all of the tones, from soft green and pink to a deep purple. Plus, they would be a great little snack during all of the pictures! Totally a steal worthy idea! I never tire of looking at bouquets! Thanks!! so pretty! lovely guest post! 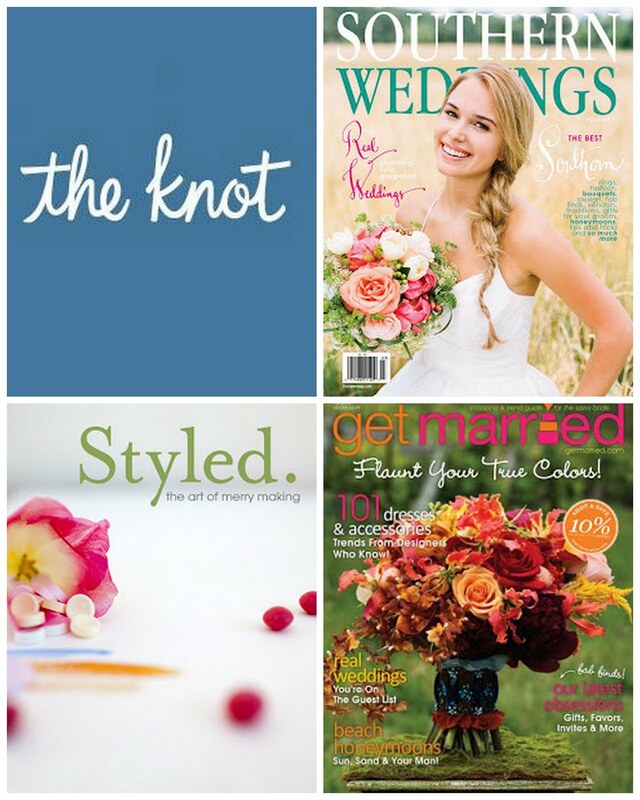 Lovely roundup...the purple one is beautiful for a fall wedding! What a great idea to use blackberries! Looks beautiful!